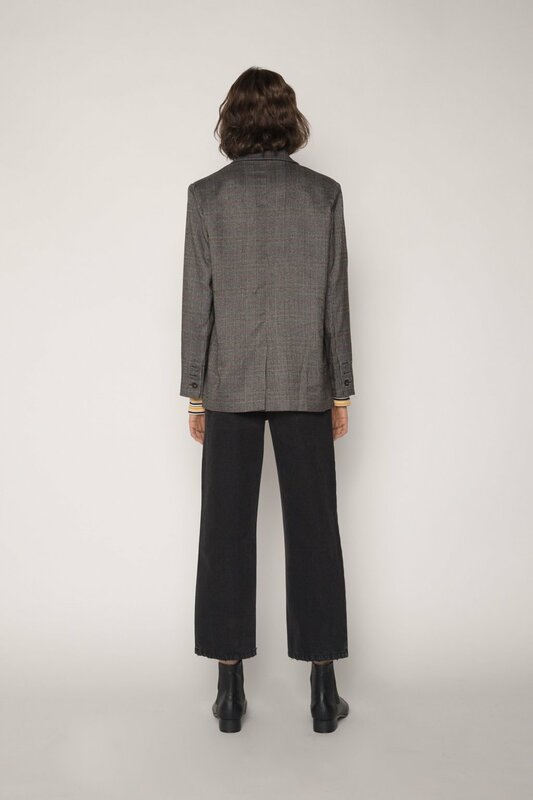 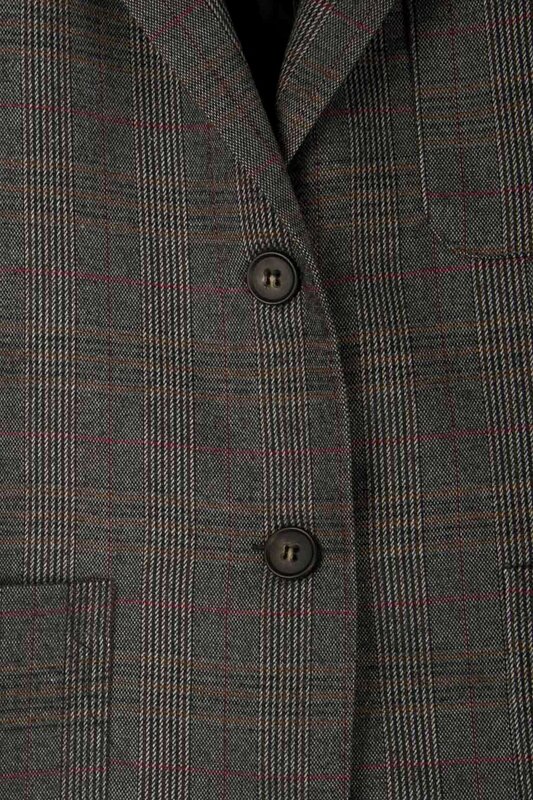 A modern take on the classic tweed jacket, this piece features shoulder pads that provide structure, three large front pockets and a classic notch lapel. 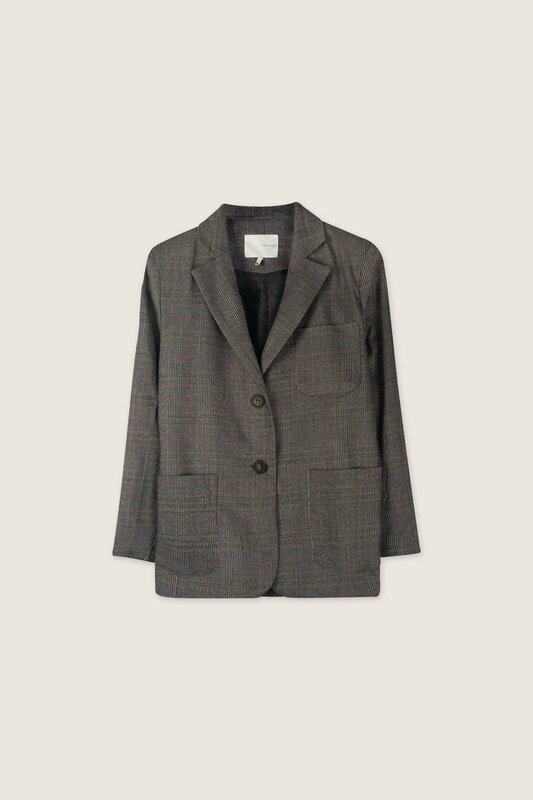 Made of a soft and sturdy rayon blend material, this jacket is perfect for layering over any outfit for any occasion. 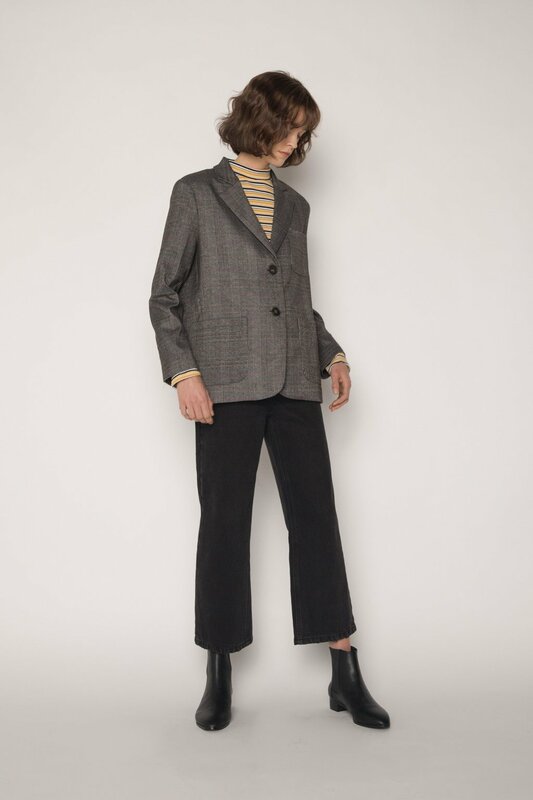 Wear this jacket over a white tee, black wide leg trousers and finish off with gold jewelry and heels for a casual vintage inspired day look.